Two new beautiful composite images, from two different rovers and locations on Mars. The first is a sunset in Gale crater, taken by Curiosity. 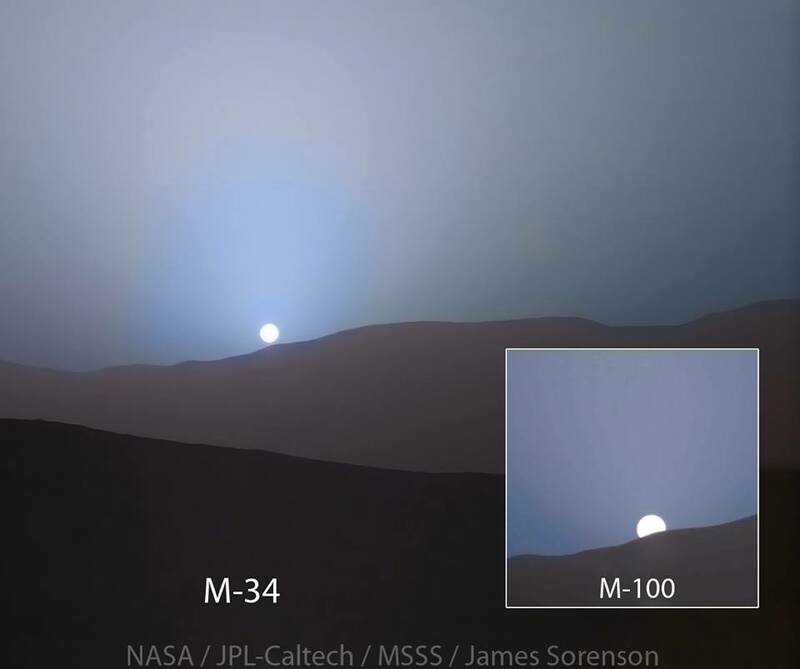 Martian sunsets look bluish due to the light scattering effects of reddish dust in the atmosphere. The other image, from Opportunity, is of the scenic Lindbergh rock mound in the Spirit of St. Louis crater, on the rim of the huge Endeavour crater. A natural monument!